Alarm System | PACIFIC.COM.KH, a computer store in Cambodia. 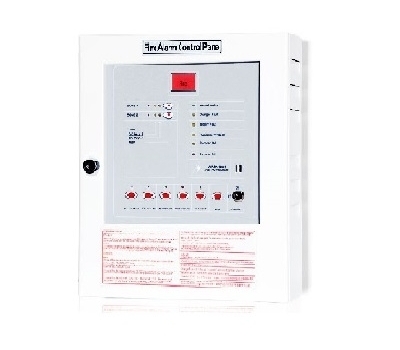 The Fire Alarm Complex is a steel box, in which there are indication lamp, alarm bell and fire manual station. In order to match the installation requirement, two types of surface mounting and recess mounting type are developed. They can also be installed uprightly or transversely. Rush the button on fire manual station as soon as a fire accident found, the signal will be immediately transmitted to the fire receiver terminal. 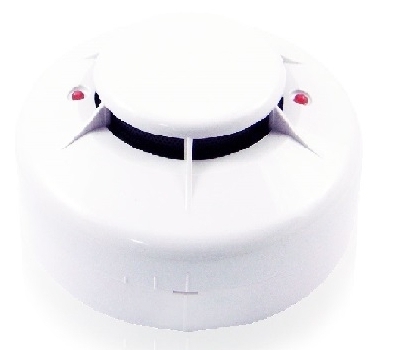 At the same time, the fire alarm bell will be ringing and the indication lamp will be also twinkling to give a warning. The way of motor-driven is taken at the low consumption of current, to reduce the load for power output from receiver terminal. 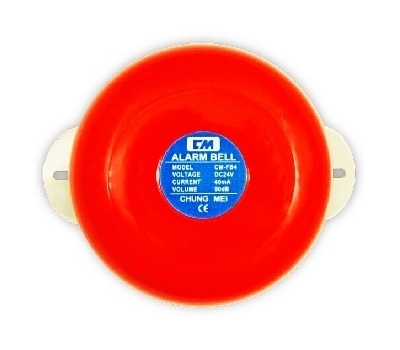 This design of exceptional structure is sturdy and durable.The bell even can ring to last 40 hours without declining of the performance and structure. 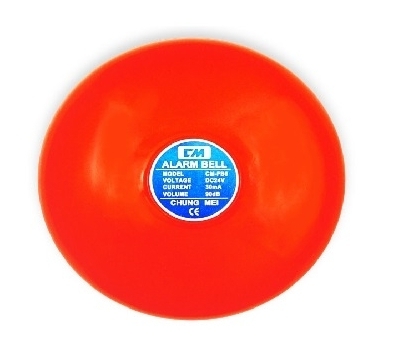 The fire alarm bell is an equipment controlled by the fire receiver terminal or the repeater and sounds a warning as a fire accident occurred. Auto-Return by pushing button, no need to disassemble the main body. Response light available to identify the operation completed. Reinforced transparent protective cover is reusable. 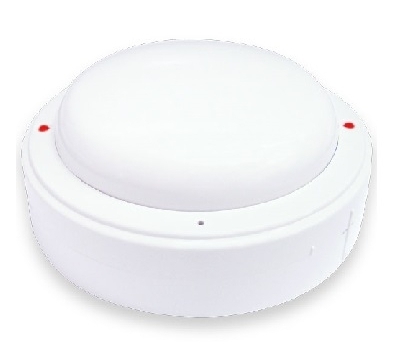 Stabilized performance, long-term durability and least-malfunction are ensured by employing a UL approved sensor. The sensitive part is enclosed to prevent from being moistened and contaminated. Self-restoring function ensures the elements repeatedly use. Dual LEDs for 360-degree visibility. Mechanical operating principles ensure the long-term durability and the least malfunction. 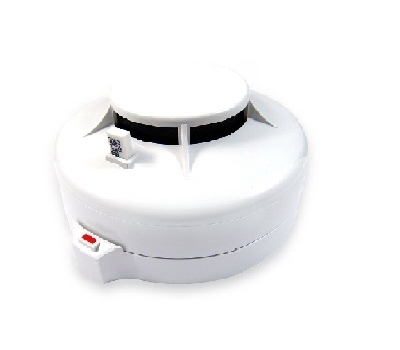 With the photoelectric sensing principle, this kind of detectors is activated more quickly, accurately and reliably, and there are no false alarm due to chemicals, exhaust gas, wind and exterior light. The photoelectric type detector ensures repeated use and by removing the cover can accomplish maintenance easily. 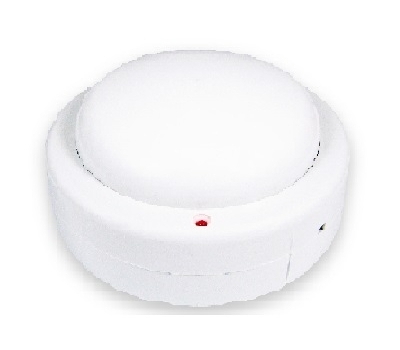 Duo-colored LEDs display separately; easy to identify the current status of the detector. Because of the compact styling and pretty outlines, it is most suitable for such modern buildings as employed in the design of decorative smooth ceilings. Using the 0.5mm bore diameter net can stop flying insects and dust particles easily, as well as make the inflow of smoke to go smoothly. Detector has passed EMC test, which greatly eliminates false alarms caused by interference from nearby sources. Red indication lamp lights when detector is activated. ISO 9001, CE Approval, UL (Pending). Attach hook, easy to install, remove and maintenance without any wiring. When battery is low, alarm signal will be sent(buzz once peer 40 sec.). Meanwhile, it can normally operate about 30 days. 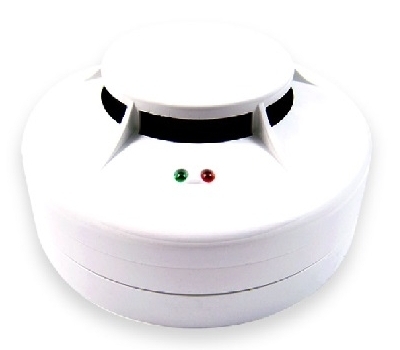 Built-in warning audio over 85 dB and red LED indicator can indicate the fire source. The exhaust valve of rate of rise heat detector part uses optical fiber glass capillary tubing that is heat-resistant and moisture-proof. Therefore, the fault alarm never occurs. Self-restoring ensures those elements repeated use. The sensitive part is enclosed to prevent from being moistened and contaminated. Mechanical operating principle ensure the long-term durability and the least malfunction. High-temperature-enduring plastics and fireproof material are used to build up the main body of the detector that is also nicely shaped. 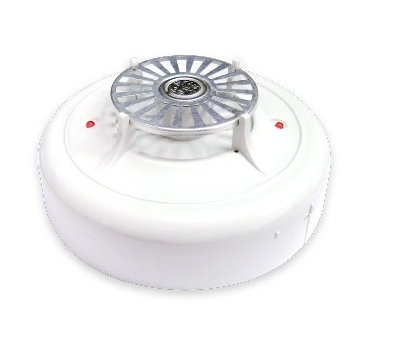 The base is in common with other detectors made in this company for the facilitation of installation. Connections are-non-polarized to avoid wiring mistakes. Red indicating lamp lights when detector is activated. 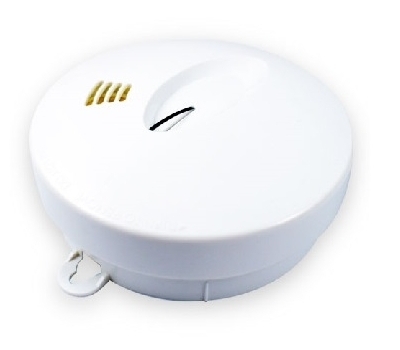 It has the functions of both photoelectric type smoke detector and fixed temperature heat detector. 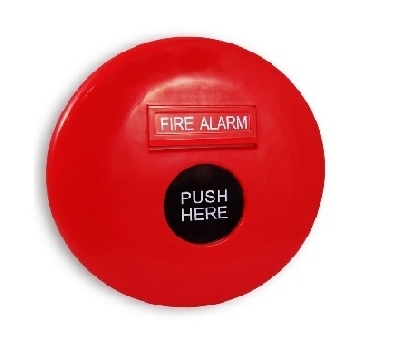 Key-controlled function switches prevent false alarms caused by accidental touch. 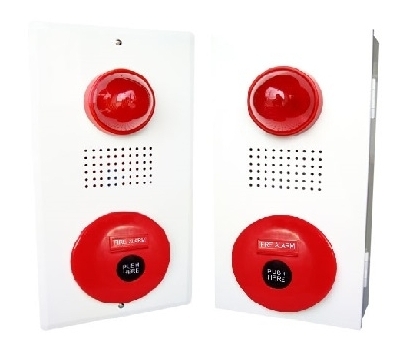 The fire alarm circuit and indicator circuit are able to detect circuit break and offer protection against short circuit. 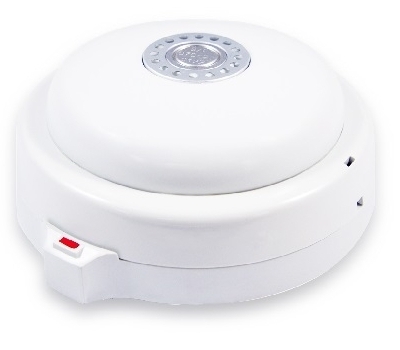 ▪ Key-controlled function switches prevent false alarms caused by accidental touch.